Federalist No. 19 | What Would The Founders Think? My last paper cited the examples of ancient confederacies to demonstrate problems with confederacies. In this paper we will look at some current examples. The first of these is the Germanic body. In the early ages of Christianity, Germany was occupied by seven distinct nations, who had no common chief. One of the seven, known as the Franks, conquered the Gauls and established the kingdom of France. In the ninth Century Charlemagne, its warlike monarch, made Germany part of his vast dominions. When things fell apart under his sons, Germany became a separate and independent empire. 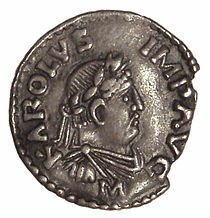 Charlemagne and his immediate descendants possessed the reality, as well as the attributes and dignity of imperial power. But the principal vassals whose fiefdoms had become hereditary, and who composed the national legislative assemblies not abolished by Charlemagne, gradually threw off the yoke and advanced to sovereign jurisdiction and independence. The force of imperial sovereignty was insufficient to restrain such powerful dependants; or to preserve the unity and tranquility of the empire. The different princes and states carried on the most furious and calamitous private wars between themselves. The imperial authority was unable to maintain the public order and declined by degrees till it was almost extinct in the anarchy. This caused the long interval of turmoil between the death of the last emperor of the Suabian, and the accession of the first emperor of the Austrian lines. In the eleventh century the emperors enjoyed full sovereignty: In the fifteenth they had little more than the symbols and decorations of power. The federal system which constitutes the Germanic empire, grew out of this feudal system, which itself has many of the important features of a confederacy. Its powers are vested in several branches of government. The diet forms the legislative branch which represents the component members of the confederacy. The emperor is the executive magistrate with veto power over the decrees of the diet. Finally, in the imperial chamber and aulic council are two judiciary tribunals with supreme jurisdiction to resolve controversies that concern the empire, or which happen among its members. The diet possess the general power of legislating for the empire; of making war and peace, contracting alliances; assessing quotas of troops and money; constructing fortresses; regulating coin; admitting new members; and subjecting disobedient members to the ban of the empire. The last power removes sovereign rights from the offending party and causes his possessions to be forfeited. The members of the confederacy are expressly restricted from entering into compacts prejudicial to the empire; from imposing tolls and duties on trade between them, without the consent of the emperor and diet; from altering the value of money; from doing injustice to one another; or from affording assistance or retreat to disturbers of the public peace. Anyone who breaks these rules is banned. The members of the diet are under the jurisdiction of the emperor and diet, and in their private capacities by the aulic council and the imperial chamber. The emperor’s prerogatives are many. The most important are: his exclusive right to make propositions to the diet; to veto its resolutions; to name ambassadors; to confer dignities and titles; to fill vacant electorates; to found universities; to grant privileges (not injurious) to the states of the empire; to collect and spend public revenues; and generally to watch over the public safety. In certain cases, the electors may act as his council. In his role as emperor, however, he has no territory of his own, and neither does he receive any revenue for his support. But in terms of what he controls in revenue and dominions indirectly, he is one of the most powerful princes in Europe. With all of this power, one might naturally suppose that the empire would not be prone to the same issues that plague other confederacies. Nothing could be farther from the truth. The fundamental principle on which it rests, that the empire is a community of sovereigns, that the diet is a representation of sovereigns and that the laws are addressed to sovereigns, renders the empire a nerveless body, incapable of regulating its own members, insecure against external dangers, and agitated with unceasing fermentation in its own bowels. The history of Germany is a history of wars between the emperor and the princes and states. It is a history of wars among the princes and states themselves; of the licentiousness of the strong, and the oppression of the weak; of foreign intrusions, and foreign intrigues. It is a confederation of members who are free to ignore requisitions of men and money, or at best submit to partial compliance. Attempts to enforce compliance are either completely unsuccessful or result in slaughter and desolation, involving the innocent with the guilty. It is a system characterized by general imbecility, confusion, and misery. In the sixteenth century, the emperor sided with part of the empire against the other princes and states. 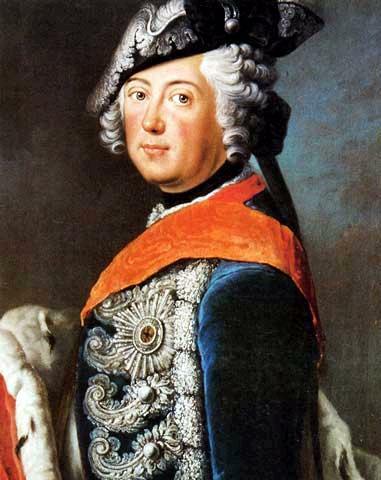 In one of the conflicts, the emperor himself was put to flight, and was nearly captured by the elector of Saxony. The late king of Prussia was more than once pitted against his imperial sovereign; and commonly proved stronger. Controversies and wars among the members themselves have been so common, that the German annals are crowded with the bloody pages which describe them. Before the peace of Westphalia, Germany was desolated by a thirty year war, in which the emperor, with one half of the empire, was on one side, and Sweden, with the other half, on the opposite side. When peace was finally negotiated and dictated by foreign powers; its articles, to which foreign powers are parties, made a fundamental part of the Germanic constitution. In the event of emergency, when the nation needs to be more united by the necessity of self-defense, its situation is still deplorable. Military preparations must be preceded by so many tedious discussions, arising from the jealousies, pride, separate views, and clashing pretensions of sovereign bodies, that before the diet can settle the arrangements, the enemy are in the field. 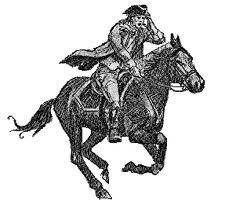 By the time the federal troops are ready to take the field it is time to retire into winter quarters. The small body of national troops, required in time of peace, is poorly maintained, badly paid, divided by local loyalties, and supported by irregular and disproportionate contributions to the treasury. The impossibility of maintaining order and dispensing justice among these sovereign subjects, produced the experiment of dividing the empire into nine or ten circles or districts. It has resulted in an interior organization, charged with the military execution of the laws against delinquent and contumacious members. This experiment has only served to demonstrate more fully the severe problems of the constitution. Each circle is the miniature picture of the deformities of this political monster. They either fail to execute their commissions, or they do it with all the devastation and carnage of civil war. Sometimes whole circles are defaulters; and this only exacerbates the problem they were formed to solve. We may form some judgment of this scheme of military coercion from a sample given by Thuanus. In Donawerth, a free and imperial city of the circle of Suabia, the Abbé de St. Croix enjoyed certain immunities which had been reserved to him. In the exercise of these, on some public occasions, outrages were committed on him by the people of the city. 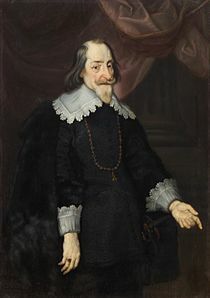 The consequence was that the city was put under the ban of the empire, and the Duke of Bavaria, though director of another circle, obtained an appointment to enforce it. He soon appeared before the city with a corps of ten thousand troops, and finding it a fit occasion, as he had secretly intended from the beginning, to revive an antiquated claim, on the pretext that his ancestors had suffered the place to be dismembered from his territory,1 he took possession of it in his own name, disarmed, and punished the inhabitants, and reannexed the city to his domains. Thuanus provides us with an example by which we may judge the efficacy of this system of military coercion. In Donawerth, a free and imperial city of the circle of Suabia, the Abbé de St. Croix enjoyed certain immunities which had been reserved to him. When the people of the city failed to comply with his prerogatives it was put under the ban of the empire, and the Duke of Bavaria, though director of another circle, obtained an appointment to enforce it. He soon appeared before the city with a corps of ten thousand troops. He took advantage of the situation, as he had secretly intended from the beginning, to revive an antiquated claim. The pretext was that his ancestors had lost the cities from his territory.1 He took possession of it in his own name, disarmed, and punished the inhabitants, and re-annexed the city to his domains. One might ask, what has so long kept this disjointed machine from falling entirely to pieces? The answer is obvious. None of the members are strong enough to do anything in terms of reform. They are weak and unwilling to expose themselves to the mercy of foreign powers. Even the principal members, compared with the formidable powers all around them, are feeble. 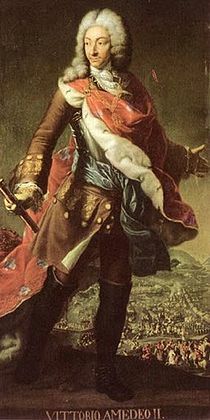 The vast weight and influence which the emperor derives from his separate and heriditary dominions combined with his desire to preserve a system with which his family pride is connected, and which constitutes him the first prince in Europe supports a feeble and precarious Union. It might be of despicable quality, because of its flaws, but it is a sovereignty which time continually strengthens. This prevents any reform whatever, founded on a proper consolidation. Nor is it to be imagined, if this obstacle could be surmounted, that the neighboring powers would permit a revolution to take place which would give to the empire the force and preeminence to which it is entitled. Foreign nations have historically had a decided interest in perpetuating its anarchy and weakness. If more direct examples are needed, it’s worth looking at Poland, as a government over local sovereigns. There is probably no better example of the calamities flowing from such institutions. Equally unfit for self-government and self-defense, it has long been at the mercy of its powerful neighbors; who have lately relieved it of one third of its people and territories. Though sometimes cited as an instance of the stability of such institutions, the connection among the Swiss cantons scarcely amounts to a confederacy. They are kept together by the peculiarity of their topographical position, by their individual weakness and insignificance; and by the fear of powerful neighbors, to one of which they were formerly subject. They benefit from having few sources of contention among a people of such simple and homogeneous manners and by their joint interest in their dependent possessions. They stand in need of mutual aid for suppressing insurrections and rebellions, an aid expressly stipulated and often required and afforded. They are used to cooperating and have some regular and permanent provision for resolving disputes among the cantons. The provision is, that the parties at variance shall each choose four judges out of the neutral cantons, who, in case of disagreement, choose an umpire. This tribunal, under an oath of impartiality, pronounces definitive sentence, which all the cantons are bound to enforce. The effectiveness of this regulation may be estimated by a clause in their treaty of 1683, with Victor Amadeus of Savoy. In this treaty he is required to interpose as mediator in disputes between the cantons, and to employ force, if necessary, against the contumacious party. In as much as you can compare their case (they are quite different) with that of the United States, it still serves to make the argument intended. Regardless of its past successes, it appears that as soon as something unusual occurred which tested its strength, it failed. The controversies on the subject of religion, which in three instances have kindled violent and bloody contests, may be said, in fact, to have severed the league. The Protestant and Catholic cantons have since had their separate diets, where all the most important concerns are adjusted, and which have left the general diet little other business than to take care of the common bailages. That separation had another consequence, which should not be ignored. It caused members to form opposite alliances with foreign powers: of Berne, at the head of the Protestant association, with the United Provinces; and of Luzerne, at the head of the Catholic association, with France. 1. Pfeffel, “Nouvel Abrég. Chronol. de l’Hist., etc., d’Allemagne,” says the pretext was to indemnify himself for the expense of the expedition.